Yesterday morning Goodyear Blimp tweeted that Wingfoot Two would be arriving home around 2:30pm. So I got there a little past 1:30pm. Lest you laugh at that, there were people already there. Wingfoot Two arrived around 2:10pm. My batteries were dying when they were landing, as you can tell. But I got them arriving, hovering over us, and flying backwards. Quick battery change and they're attaching her to the mast. I find that interesting. Then the pilots came over to the fence, and there were a lot of people there for them to talk to. We learned they're gonna play musical blimps, with Wingfoot Three going to California, Wingfoot Two going to Florida, and we keep Wingfoot One. We also learned the California crew were flying home [commercially] Thursday and coming back Monday and there possibly might be a THREE BLIMP FLIGHT TUESDAY!!!!!!!!!!!!!!!!!!!!!!!! 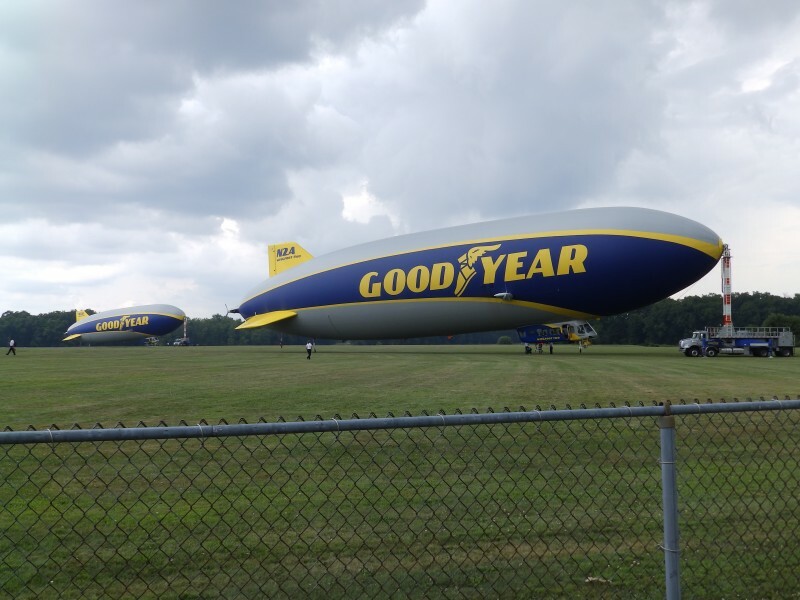 Wingfoot Three will be brought out Monday, there will THREE BLIMPS OUT!!!!!!!!!!!!!!! Yes, yes I will go out there Monday. For the triple flight I'll go to Goodyear's Headquarters to be assured photos. They said that Goodyear was going to have a helicopter or plane taking photos of the triple flight for promotional purposes. Wingfoot Two is the closest they've ever had a blimp to the observation area. There will be a hood kid field trip out there soon, as they want to see the blimps on the ground. 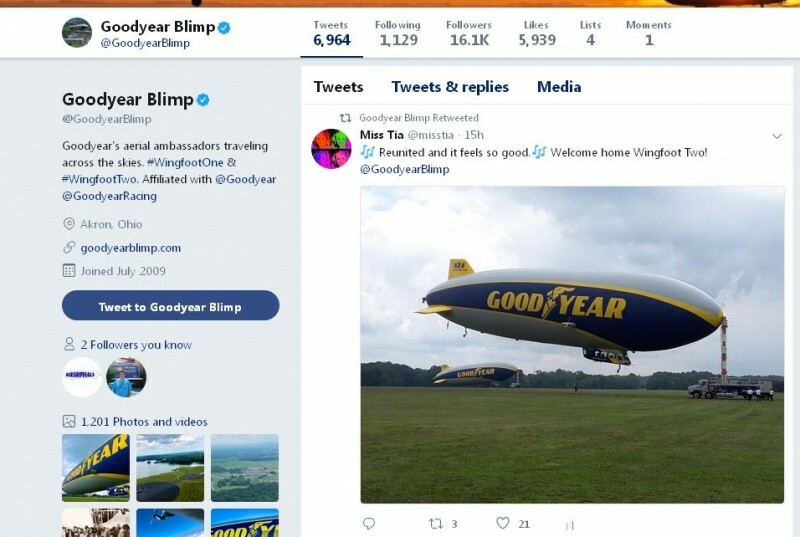 Cherry on top of an awesome day, getting retweeted by the Goodyear Blimp! Nope, it doesn't take much!